Twistedz are delicious NEW chews for fun-loving dogs of all ages! These NEW dog chews combine real chicken and beef into a unique twisted shape for a delicious, satisfying chew. Our natural dog chews are 99% digestible and Made from American Beefhide and real Chicken or Beef Meat. Look for Pet Factory Twistedz chews at your local pet store or national retailer. Pet parents know their puppies and adult dogs love to chew. Not only is chewing a natural behavior; chewing also cleans your dog’s teeth, relieves boredom, and exercises their jaws. Twistedz chews are a fun new product from Pet Factory, America’s trusted source for quality pet products. From natural rawhide chews to classic holiday favorites, Pet Factory knows how to treat dogs right! Our new dog chews start with the highest quality American Beefhide. Then we wind Real Chicken Meat or Real Beef Meat around the Beefhide core. Your dog will love the twisted shapes and unique flavor combinations of natural Twistedz chews. They are 99% digestible and have a taste and texture your dog just won’t be able to resist! Chewing cleans your dog’s teeth, relieves boredom, and exercises their jaws. 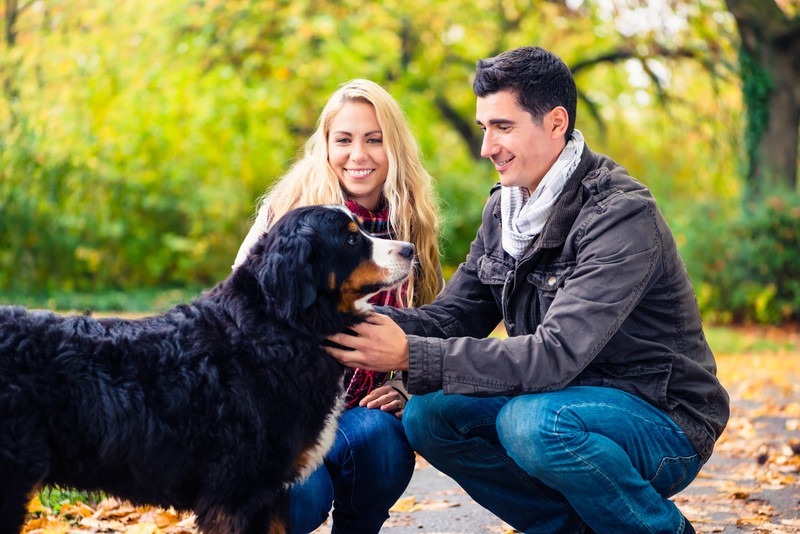 Pet parents want the best natural products for their dogs. Dogs want chewing fun and delicious flavor. Our new American Beefhide Combo chews will satisfy both. NEW Twistedz American Beefhide Combo chews are made of 100% natural beef/beef or beef/chicken combos. Real Chicken Meat or Real Beef Meat is twisted around an American Beefhide chew. This crazy combination results in a natural chew your dog will love. You can feel good about treating your family pet to our chews. They are a safe, natural product and they provide hours of chewing enjoyment. We produce these chews in our certified food safety facility and are nearly 100% digestible. Does your dog have allergies or sensitivities? You’ll be glad to know Twistedz chews contain no corn, wheat or soy ingredients and they are preservative-free. 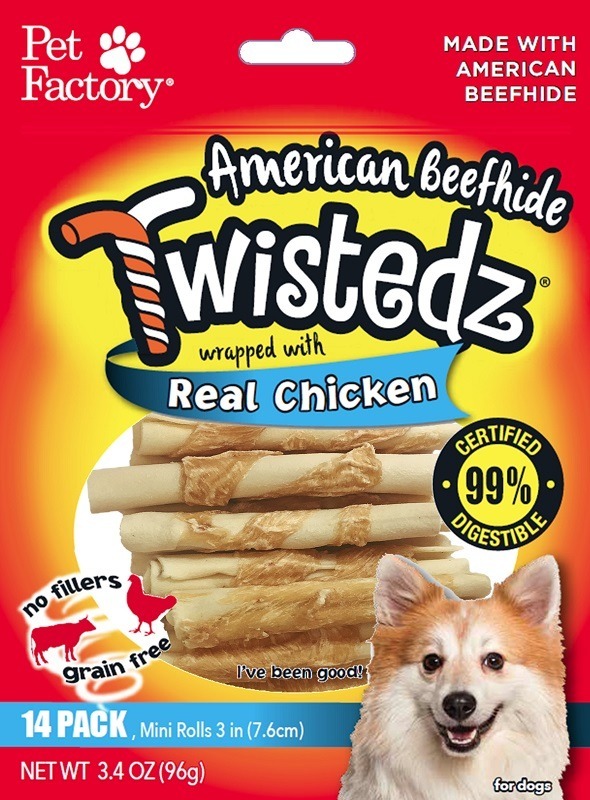 Look for Twistedz at your local pet store or national retailer – Now available in 5 shapes wrapped in Real Chicken Meat and 5 shapes wrapped in Real Beef Meat. Pet parents want the best natural products for their dogs. We produce our chews at Pet Factory’s state-of-the-art Global Food Safety Initiative-recognized facility. Because of this, we are recognized for our rigorous, credible food safety management system and our facility is GFSI SQF 2 Safe Quality Food Institute-certified. We are dog lovers! Pet Factory is the leading manufacturer of rawhide products. Since 1989, we have made the highest quality American Beefhide chews for dogs of all ages. As a result, pet parents and dogs know us and enjoy our delicious premium line of thicker and longer lasting chews. Visit PetFactory.com to learn more about our complete line of Beefhide chews and pet toys and accessories. Stop by to see us at the Global Pet Expo at Booth #2735! 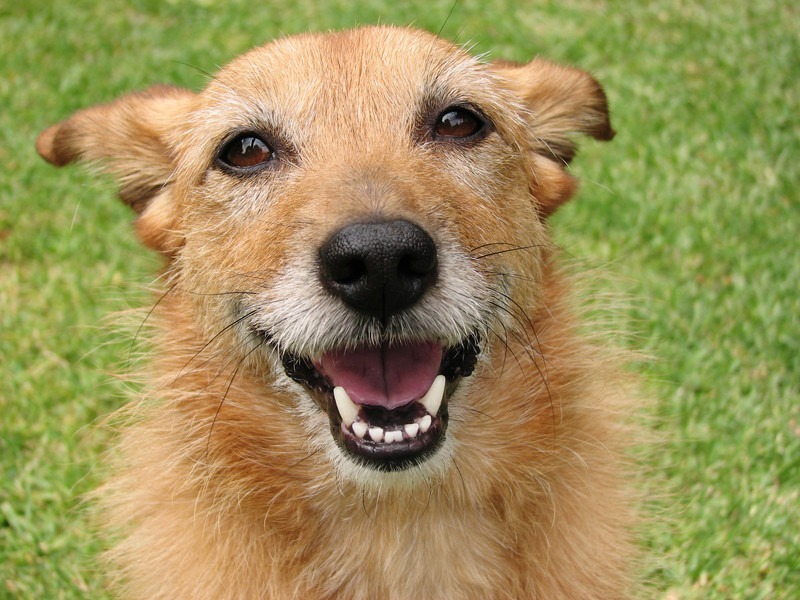 PreviousPrevious post:Smile Big for Pet Dental Health!NextNext post:Lucky Dog! Twistedz are Inspected, Tested & Safe!